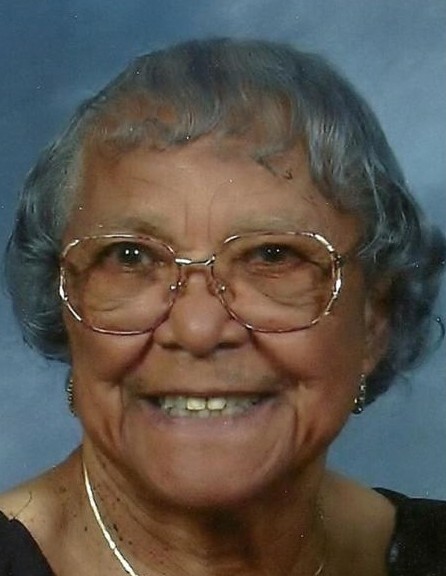 Nelzie Lee Toomer, age 103 of 301 Brown Hill Rd., New Hill, NC passed on Sunday, November 4, 2018 at UNC Hospital, Chapel Hill, NC. Mrs. Nelzie Lee Thomas Toomer daughter of the late John and Alberta Thomas was born January 26, 1915. She departed this life on Sunday, November 4, 2018 around 9:45am at UNC Hospitals, Chapel Hill North Carolina. She was married to Henry Toomer and to this union was born four children, one stepson and two stepdaughters, as well as one niece in which she raised. Nelzie had only an eighth grade education, but she was an avid reader and mathematician. She received Christ as her personal savior very early in age and joined Jones Chapel Church now known as Ward Memorial Church where she remained. She was a dedicated worker until her health no longer allowed her to actively participate. She served as the Vacation Bible Service Coordinator, Sunday School Teacher, Usher and Missionary President. In her honor, the Missionary Committee was renamed “Nelzie Toomer Missionary Society”. Nelzie really enjoyed attending church service until her health would no longer allow her to attend. However, she was elated when the church members would come to serve monthly communion. Nelzies' civic duties included being Director of the Council on Aging and becoming a foster parent. She was very creative and could make anything she laid her eyes on. You could look around her home and find her handiwork. She was preceded in death by her husband, parents, stepson, and her siblings: Katherine, Theodore, and Helen. She leaves to cherish her memories: daughter, Doris Toomer Harris, Sanford, NC, John Toomer (Ola) Orange, New Jersey, Theodore Toomer (Janice), Sanford NC, and Brenda Swann (Joe), New Hill, NC; one grandson she raised, John Toomer (Tawan) Chesapeake, VA; daughter-in-law, Cora Toomer, New Hill, NC; sister, Nina French, Sanford, NC and three foster children, Joe McSwain, Wilmington, NC, John B. McSwain, Pittsboro, NC and Deon McSwain, Siler City, NC. Additionally, fifteen grandchildren, twenty seven great-grandchildren, fifteen great-great grandchildren, four great great great grandchildren, and a host of nieces, nephews, other relatives and friends.